Hope Chapel is a beautifully looked after church, complete with pipe organ and is well supported by the village. You will be made very welcome at our Sunday services and are welcome to join us for refreshments afterwards. Monday afternoons sees 'Bookworms', a library and drop-in centre in the schoolroom. On Tuesday mornings the schoolroom becomes a general Pop-in centre for tea and a chat, Thursday mornings the Chapel Computer Club helps beginners get to grips with computers. A cinema club takes advantage of the excellent projector and screen facilities and United Christian Broadcasters enabled a prayer station to be set up for regular Prayerline sessions. The chapel also arranges a luncheon club in the village hall and supports a men's breakfast group. 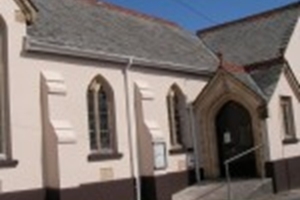 The chapel is also used as a collection point for the Holsworthy Food Bank.